Once a year go someplace youve never been before. – Dalai Lama. Follow this quote if you need some travel inspiration for the summer of 2018. If you havent started planning already, you still have time and with beautiful places dotting every corner of India, we have curated a list that will help you sort your travel plans. Be it the tea plantations of South India or the cold desert of Ladakh, India has no dearth of places to explore. 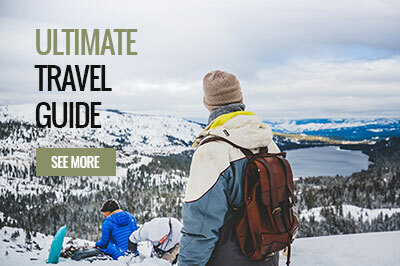 You just need a little planning, your group of friends or family and your tickets to go out and see what the world has to offer. Of course, you can always travel alone because even solo travel gives you memories, removes fear of the outdoors and help you meet new and interesting people. We hope you have already start deciding which place you want to see. A land of cold deserts, monasteries and the most amicable people, Ladakh has you sorted for a great summer vacation. Escape the scorching heat of the city and head to this little piece of heaven on Earth. Not that it was already popular, but the shooting of the famous Bollywood movie 3 Idiots made Ladakh rise to the top of everyones bucketlist. Explore the Nubra Valley for just soaking in the natural wonder that Ladakh is. Pangong Tso is of course another wonder which demands your attention. The vivid blues of this lake make for an extremely picturesque backdrop to all your photos. If you can manage and have the time, hit the road to travel to Ladakh and make memories worth a lifetime. Having the moniker of Gods Own Garden and also renowned for being the cleanest village in Asia, Mawlynnong in Shillong deserves a visit by everyone. If you want to interact with amicable locals, soak in the lush greenery of the town or just see the nature at its best, this place should be on your travel list. If the title awarded to this place is not enough reason for you, there is also a UNESCO Heritage site – living roots bridges. 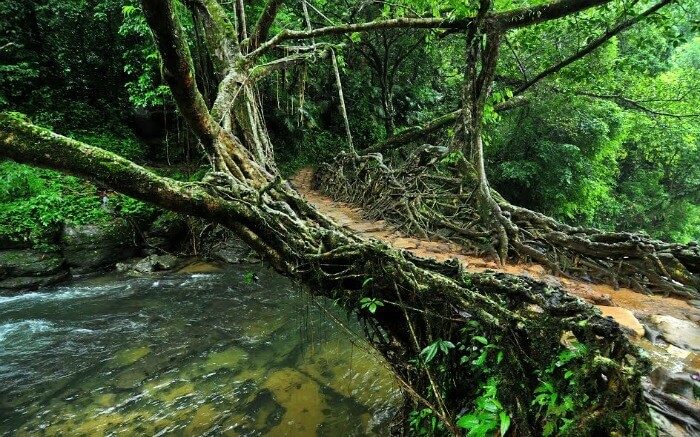 Formed by the roots of the rubber trees, walk through the thick jungles of Mawlynnong and stop at this bridge to behold what natural wonder is all about. A jewel of a place in the North Eastern states of India, Sikkim has a pleasant array of tourist destinations one could visit when the sister states. Whats more? The capital city of Gangtok has a myriad of places that can easily be visited during the summers (or any other season) because of its pleasant climate. Enveloped with clouds and lush vegetation all around, Sikkim is without a doubt a must-visit destination. Leave behind the touristy crowd of other states and experience the bliss of exploring the culture of a new city altogether. With its profound valleys and the views of picturesque Khangchendzonga in the backdrop, Gangtok in Sikkim is a travellers dream come true. Some of the top places to visit in Gangtok are Rumtek Monastery, Tashi View Point, Chhangu Lake and the Tsomgo Lake. Pachmarhi is the one and only hill station in the heart of India, Madhya Pradesh. Perched amidst pretty and lush green vegetation, it is a delightful place for people looking forward to take a break and spend some time connecting with nature. As it is located in the Satpura Range, at an altitude of 1100 metres, Pachmarhi is also known as Satpura ki Rani. Complete with scenic trails, mysterious caves and of course breathtakingly beautiful waterfalls, Pachmarhi is a treasure trove for people who love to rejoice in the laps of nature. Visit this town in the summers and spend a considerable amount of time exploring the famous attractions of the place like the Pandava Caves, Bee Falls and Dhoopgarh. Hectares of coffee plantations turn this southernmost hill station of Karnataka into an emerald beauty. Head to this hill station if you want to spend some time amidst nature. The misty landscape enveloping the beautiful green hills and streams cutting it make for a stunning vista which any nature enthusiast would be glad to soak in. Rightfully known as The Scotland of India, the often times uneven terrain and pleasant climate throughout the year make it paradise for trekkers and bird watchers. A weekend amidst the misty hills and the warm hospitality of the Kodava clan of Coorg is just the thing you need to recharge and get back to life.